When Google displays local search results, they usually display the Google Places pages first, then normal organic search results. There are many things that can be done easily to impact your automotive SEO results. 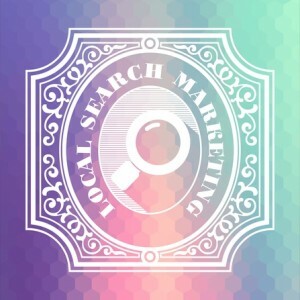 What are the most important factors in Automotive Dealer Local SEO? Create a Google Places page. If your dealership does not have a Google Places page, your website is a at an extreme disadvantage. Setting up a Google Places page is both free and easy to do. Optimize your Google Places page. There are several ways you can optimize your dealership’s Google Places page. The easiest things are often also the most effective. What I would recommend is uploading high quality photos of your dealership, and checking that your dealership is properly categorized (you can have up to five category keywords picked). Make your automotive business listings accurate and consistent. There are several online listings possible for your automotive business. Some of the big players are Yelp, Cars.com, Yellow Pages, Dealer Rater. If you don’t have logins for these websites, you should. How I talked about optimizing Google Places, many of these websites can be optimized similarly. Check your hours, address, and phone numbers and make any corrections necessary. If the directory has reviews, respond to the negative reviews and explain. Does your dealership show in all of the searches you want? In today’s SEO environment “Content Is King”. This means your dealership needs to have a content marketing strategy. Your website needs quality content relative to the local automotive searches your dealership wants to show up for. Is your local automotive dealership interested in learning more about how you can optimize your dealership in local searches? Content Motive has a large team of Automotive SEO experts. Contact us today and we can give you a free website SEO analysis.